← The Shape Turns 20! Back in 1951, the husband and wife combo of Les Paul and Mary Ford released a slew of shellac 78s. Almost exclusively on the Capitol Records label, this 10″ features Les on his custom Gibson and Mary’s angelic melody on vocals. 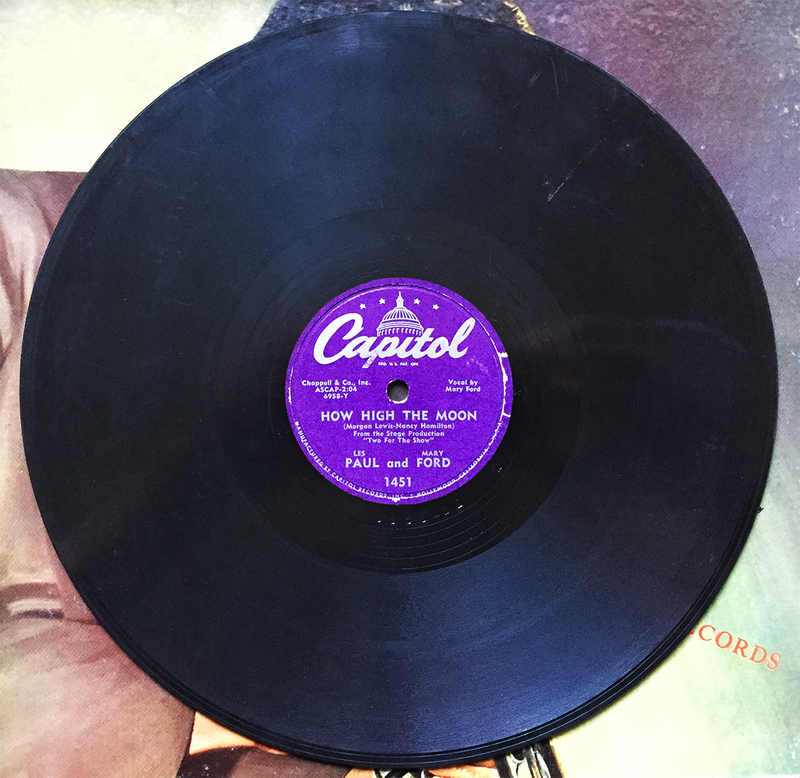 How High the Moon back with Walkin’ and Whistlin’ Blues as catalog no. 1451. The former is from the stage production of Two for the Show, while the latter is a lazy stroll of an instrumental with a country twang and a foot-stomp backbeat. Certainly a fun, yet restricted and short listen.